Who's playing Red Rocks in 2018? The weather is getting warmer, the days are getting longer and that means one thing - summer concert season! Red Rocks Amphitheatre has kicked off its upcoming 2018 concert season. MORRISON — The weather is getting warmer, the days are getting longer and that means one thing - summer concert season! Red Rocks Amphitheatre has kicked off its upcoming 2018 concert season. Here is a list of who is booked to play Red Rocks so far in 2018. May 31 - Colorado Symphony: Rachmaninoff Piano Concerto No. September 5 - Gary Clark Jr. This story will be updated as more shows are added. 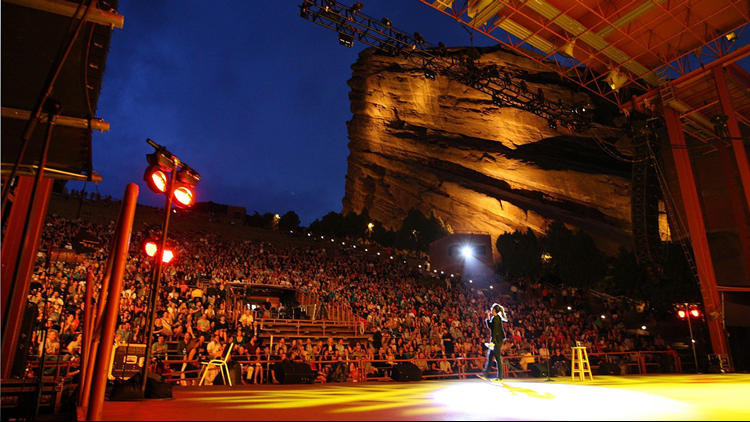 To learn more about the shows, purchase tickets and check out other events at Red Rocks, visit RedRocksOnline.com.